korero – BURAK & MUSICA SEQUENZA Baroque is the new pop! “KORERO I SOHBET” is a spontaneous dialogue between the fine arts and music, celebrating the free spirit of improvisation and the pure delight of experimentation. The music inside the paintings already exists, unwittingly, in our memories. It reappears unexpectedly, triggered by strange associations of which we are scarcely aware. We are bound to recollections images, impressions, which alter with new experiences, in permanent renewal. At some point a forgotten sound, an object, a person or a phrase we recorded, reappears in the process of every installation. Each painting provides acoustic references for its sonic recreation. These selected elements are carefully transformed from visual-being into a sonic-being. The work is performed in darkness, allowing its audience to experience a new way of listening without any sense of visual input, whereas the paintings; their characteristics and sonic elements are communicated through the music. As their material, Burak Özdemir and Chang Yun Yoo apprehend “KORERO I SOHBET”, or convolution – a procedure in electronic music that generates an acoustic response to acoustic impulses and visual inspirations. “KORERO I SOHBET”, a collage of sound sculpture, a radical mixture of 18th century instruments and live electronics augmented by 3D audio design and surround sound effects, offers spheres of dramatic introspection. Pera Museum presents “New Sounds”, a musical project inspired by Suna and İnan Kıraç Foundation collections. 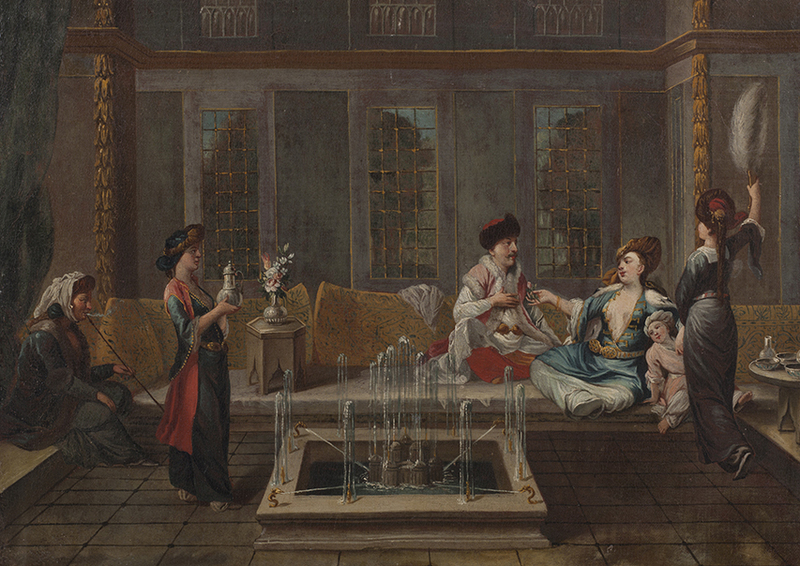 The project that aims to re-explore the museum collections through different modes of expression, features composers, musicians or artists engaging with different musical genres inspired by the “Orientalist Painting Collection, “Anatolian Weights and Measures” and “Kütahya Tiles and Ceramics” collections. The project presents compositions by Şirin Pancaroğlu and Bora Uymaz, Burak Özdemir & Musica Sequenza, Mehmet Yaranona and Koray Erkan, Alican Çamcı as well as Meriç Artaç in a series of performances and sound installations in October 2018-May 2019 season.